For the oppotunity of working in the studio of the Artists. 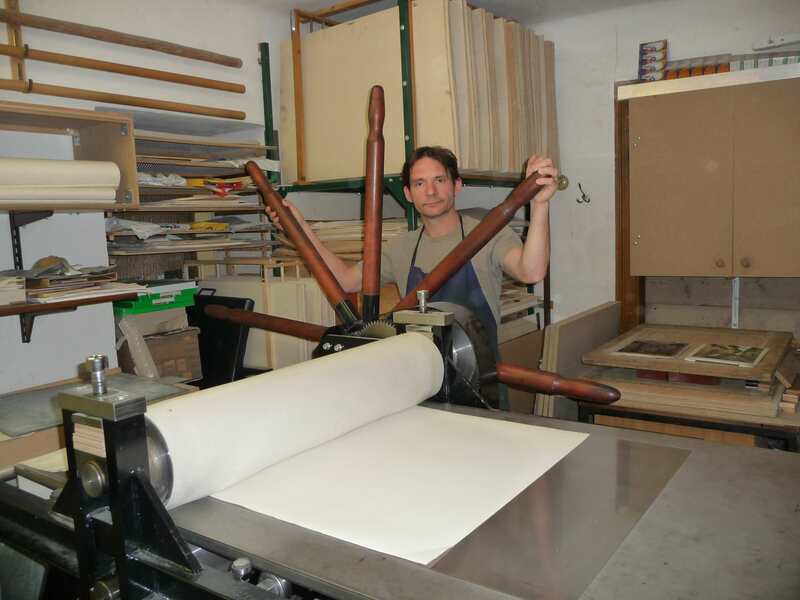 The printing Press is a Nowotny etching press with a 90 cm wide running board. There are two different big heated work spaces for colouring the copperplate. In the separated etching room it is possible to etch copperplates up to a size of 80 x 74cm. There is also a powder box for Aquatint. The print is happen with charbonnel etching inks. Standard handmade papers are Zerkall Alt Bern 250g/m² and Hahnemühle 300g/m². It´s possible to take other handmade papers. The manufacture in Photogravure ( in this time, until size 40 x 50 ) for artists it´s possible too. Currently a biger studio in Südburgenland (Burg) is being renovated . We aim for artists to live and work there for the period of time their work acquires. Project should accomplished in the Summer of 2016.